Wisconsin unions faced another defeat as the federal appeals court struck down a union challenge to Gov. Scott Walker’s controversial Act 10, upholding tight limitations on most public employees’ ability to collectively bargain. The 7th Circuit U.S. Court of Appeals ruled that the law is constitutional despite union arguments that the restrictions infringe on employees’ first amendment and equal protection rights. “Act 10 exhibits a rational belief that public sector unions are too costly for the state. The recertification process furthers this interest by imposing a recertification burden that impacts unions’ influence over employees who are less passionate about union representation,” the court wrote in its decision. The law limits many public employee unions’ rights to bargain anything besides base-wage increases, and splits public employees into two groups for bargaining purposes – public safety employees and general employees, according to the decision. Wisconsin Attorney General J.B. Van Hollen said in a statement Friday that the court’s decision would benefit Wisconsinites. “This is a victory for the law and for Wisconsin taxpayers. This ruling, once again, supports the rule of law and recognizes the diligence and hard work of our lawyers in defending Act 10,” Van Hollen said. This is the second time the federal appeals court has made a ruling on the collective bargaining law. The first appeal, made by the Wisconsin Education Association Council, was rejected because the court found there was no violation of the first amendment, according to the decision. Following the first decision on the constitutionality of the bill, the court agreed to hear a second appeal because despite the complaints’ similarities, the plaintiffs in the second appeal presented first amendment as well as equal protection cause pleas, which was not previously argued, according to the decision. Rep. Fred Kessler, D- Milwaukee, said it was not surprising that the appeal was denied and stressed his concern with the political diversity among the panel of judges selected to hear the case. “It was the worst possible panel that you could have ever gotten from the federal circuit. If you take a look at all three judges that were on that panel, all three were Republicans and two were appointed by [President Ronald] Reagan,” Kessler said. 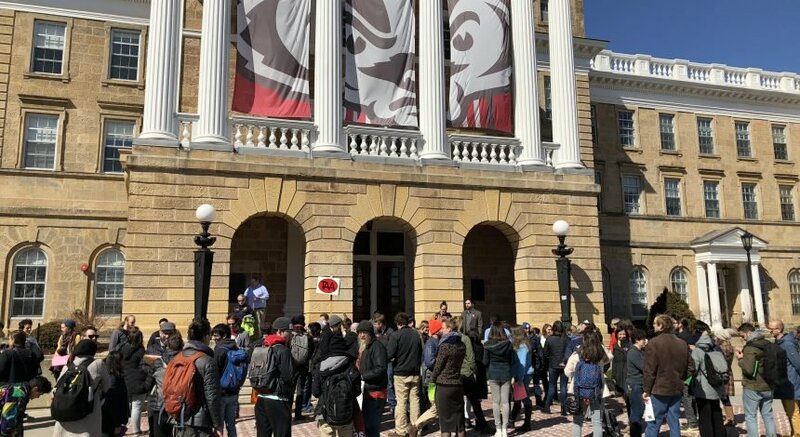 Barry Eidlin, a University of Wisconsin sociology professor who specializes in labor studies, said the ruling indicates a general lack of political support for broader labor rights, citing a lack of concern among politicians or constituents. “You have a Democratic party and a broader left wing that is not that committed to protecting labor rights, as evidenced by the fact that the Democratic candidate for governor here won’t even go so far as to call for the repeal of Act 10,” Eidlin said. The public safety employee unions, which include police officers and firefighters, retained their rights to collectively bargain after the passage of the law. Previous collective bargaining laws, including the Municipal Employees Act and the State Employee Labor Relations Act, were created with the notion that collective bargaining provides an overall social benefit, Eidlin said. Act 10 contradicts that thinking, he said. Eidlin said it is unclear what the next course of action will be for the plaintiffs. Kessler said the unions could request to have the case reviewed by the entire circuit.